Two items up for sale today. These prices include CONUS shipping via USPS Priority Mail. If you are an international buyer, please contact me to discuss options. 1. 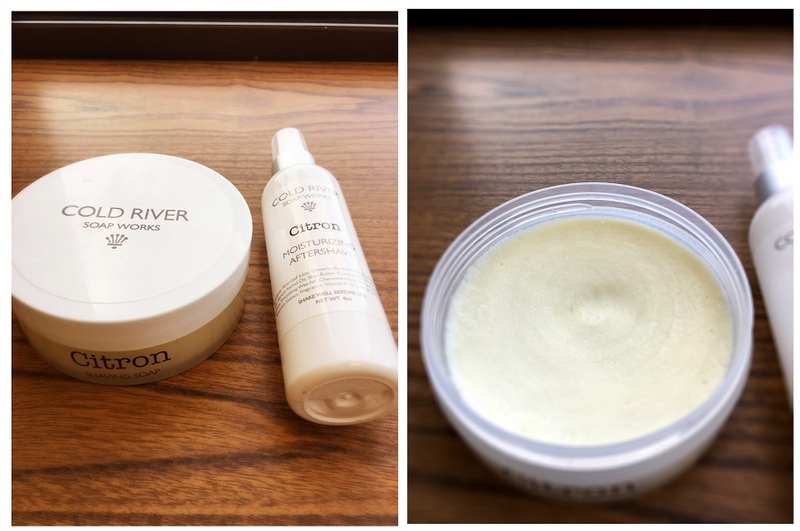 Cold River Soap Works "White Label" Citron Soap and Aftershave. I only used this once; I had traded for it here and the previous owner had only used it 2-3x. To be honest I have no idea if this is still available. I tried running a search for this in preparation of this listing but couldn't find anything on the CRSW site other than the Select "black label" Citron. Since this obtained via trade I don't know the original retail price, but the Select version goes for $19 and the Aftershave is out of stock and went for $20. I was looking for $35 shipped. 2. 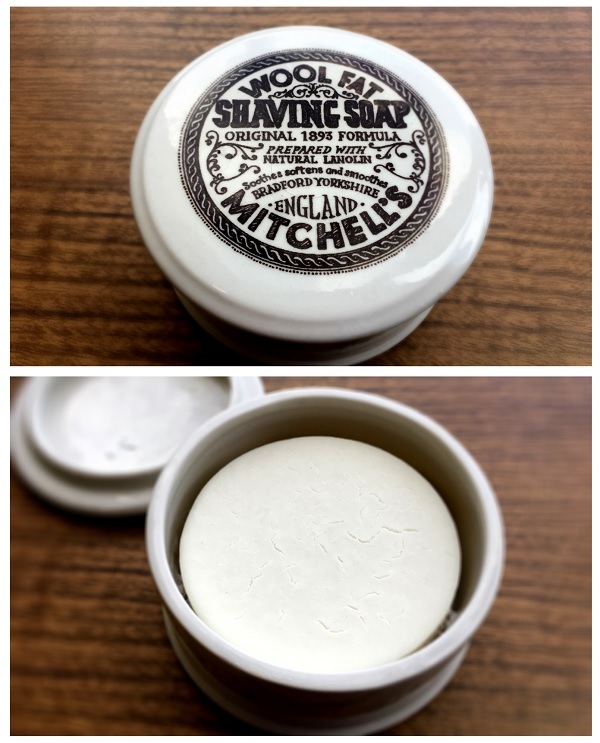 Mitchell's Wool Fat Soap in ceramic dish. This has been used once. This retails for $35 so I was thinking $25 shipped. SOLD! Feel free to comment about my pricing and descriptions in this thread. If you have any other inquiries, please PM me. Just FYI, it's confusing but CRSW rebranded their white label as the select line. So citron is in that line now. The aftershave is currently on clearance. A new set would run you $29, but the balm is sold out. The soap and aftershave would run you $39. I couldn't figure out if Citron was just relabeled under the Select line or if there was originally a separate "white" label line. From what I remember there was the Select black label line and then a premium white label line. My guess is that they discontinued the premium/white label line. While the aftershave is on clearance it's sold out and there is no citron Select aftershave replacement. Either way all items sold! Moderators please archive. CRSW discussed this in a Facebook post. There was a select and premium line; if I remember correctly, they were getting a lot of requests for their select scents in the premium formulation so they decided to merge the two. Now the select line is the formulation of the premium line with all of the scents of both lines. Well there you go. Thanks to all who bought.